Golly, it’s been a while hasn’t it? Since I last posted I’ve completed a couple of squads but I’ve not been happy enough with them to post pictures. Here’s the first complete thing in ages that I’ve been relatively happy with. 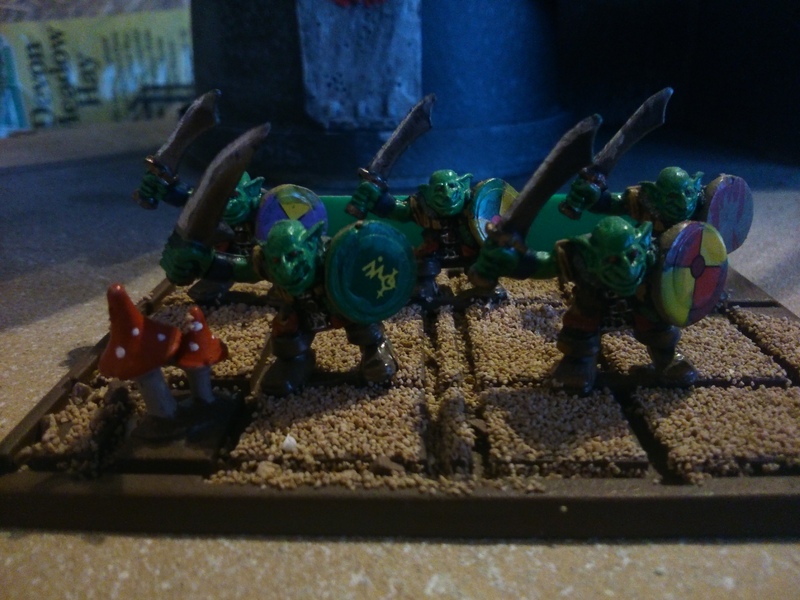 It’s a tray of Goblins for a Chaos warband. Not perfect but they’ll do!